Nothing says Autumn to me like apple butter! It used to be in the historical town that I lived in that we would get up early on a crisp october morning and go to the Century Village to drag out the huge copper cauldrons, light the fires and spend the day from sunrise until late doing the back breaking work of making the apple butter that the town would sell all year. I'll never forget the smells, fire and cooking apples and later the sugar and cinnamon that were added to the bubbling brew before it was ladled into mason jars. We've since moved from Burton but every year I still make apple butter every year. It's really easy... the recipe is basic. Fresh, peeled and sliced apples, sugar, a pat of butter and lots cinnamon, that's it! Cook in the slow cooker for about 10 hours and you've got apple butter! This year though I added a bit of a twist and came out with a batch that's absolutely delicious. Into my slow cooker I put about 14 sliced but unpeeled apples, a cup of maple syrup, a cup of apple cider and a cup of really good Woodford Reserve bourbon. Then I added no less than 4 teaspoons of cinnamon, several teaspoons of cracked star anise, 1 teaspoon of allspice, 3 bay leaves, half a stick of butter and some organic liquid smoke. I turned the slow cooker on for 10 hours on low heat and left the house to do a bit of shopping. Upon my return the house was filled with the most incredible fragrance of fall. Towards the end I added a bit more smoke, a large pat of organic butter and then removed the bay leaves. I ladled it into clean mason jars and processed them in a water bath for about 30 minutes. This particular batch of apple butter I'll be enjoying with fresh scones out of the oven, a fine wedge of vegan cheddar cheese and maybe a chilled mug of fine hard cider! I love corn pudding and this is my favorite recipe. It's much lighter than most, using corn as it's primary ingredient and not too much filler! It smells so good when it's cooking and tastes even better. Corn pudding is the perfect midwinter dish and can be served by itself with a salad or with a pork roast, ham or sausages. Hard cider or winter beer is the perfect accompaniment. 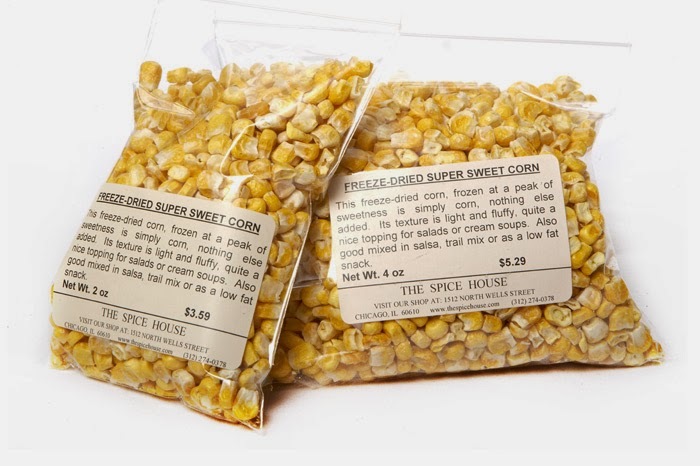 If you can find the dehydrated corn use it..it's absolutely delicious, sweet as sugar and feels very rustic. I reconstitute it in buttermilk and it's almost better than fresh! Place the eggs and buttermilk in a bowl and whisk until frothy. Add the remaining ingredients and fold together. Place the blended ingredients into a baking dish and bake at 350 until firm, approximately 45-50 minutes. My preference is that you use a cast iron skillet or baking dish because for some reason cast iron bakes the pudding very evenly. Serve with slices of country ham or sausage.